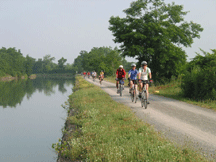 Advocates say the Erie &#8211 and New York’s three smaller canals &#8211 are historical treasures that are essential to the state’s economy and worthy of public investment. New York City soon became one of the country’s busiest ports and the canal spurred development of major upstate cities including Buffalo, Rochester, Syracuse and Albany, whose proximity attracted industry. Dozens of smaller industrial hubs also sprouted along its banks. There were two major upgrades &#8211 one completed in 1862 and the other in 1918 &#8211 to accommodate heavier traffic and larger vessels. But the rise of the railways in the late 1800s and the advent of the interstate highway system in the 1950s plucked the vast majority of freight off the canal. In 1949, 3.5 million tonnes of freight plied the waters of New York’s canals. Last year, it was just over 11,790 tonnes, according to Canal Corp. figures. For more than 10 years, state officials have been trying to reinvent the canal, marketing it as a tourist attraction and keeping its locks &#8211 most of which still use equipment installed in the early 1900s &#8211 operating. The aim is to lure pleasure boaters to spend their money in the communities along the canal, many of which have suffered a decades-long economic slump following the decline of the region’s once thriving manufacturing industry. Mantello points out that there were roughly 200 festivals and other events planned on canal shores this year, compared with about 30 just three years ago. 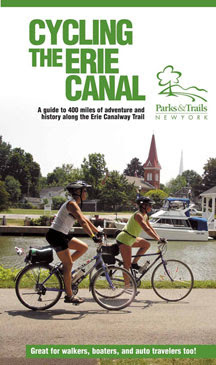 She and other canal boosters point to a study that found canal tourism contributed about $380 million a year to the state’s economy in 2002 &#8211 a little more than one per cent of the total $34.4 billion the Travel Industry Association of America estimates travellers spent in New York that year. An update of that study is scheduled to be done this year. The canals cost about $80 million a year to operate but take in only about $3 million from users. The rest comes from tolls collected from drivers on the New York State Thruway.